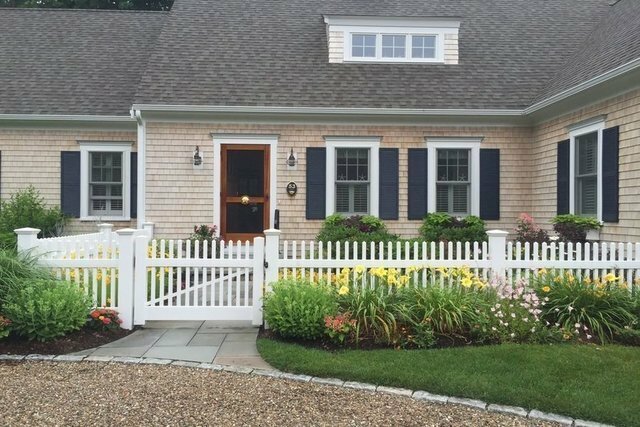 This owner's decorating and gardening talents are on full display from the moment you arrive at this custom Osterville cape built in 2012. Step inside to appreciate the light, bright, open floor plan featuring a well appointed gourmet kitchen, generous dining area and fire-placed living room. A delightful master bedroom with a walk-in closet and private bath is tucked away on the first floor while 2 bedrooms, a bath and privateoffice provide the perfect get away space upstairs. Entertain friends and family with ease in this casually elegant home where indoor spaces easily connect to the out-of-doors where this family enjoys alfresco dining on the patio and morning coffee with the paper on the lovely screened porch. Joy and comfort abound in this special Osterville village home.